There has been awakening. Have you felt it? There is a stirring in every fangirl and fanboy. Something is about to change. I completely expect that our minds will be blown in ten short months when the screens explode with the next chapter in the Star Wars saga. The change will be something impossible to guess at this moment. It will be a surprise that makes us examine our own presuppositions – if only for the movie, but maybe even for our personal lives. We will be challenged to grow from the experience, after this excruciatingly long wait. When this post comes out, the majority of the Christian world will be entering the season of Great Lent. I am one of those weirdos that enjoys Lent. It is an exciting time because everything changes. If you have been living through the blistering cold of this winter, you are probably looking for something to change. In this season, at least in my tradition, our diet drastically changes and there are a lot more services to attend – as well as a call to become more engaged in almsgiving and selfless acts. It is a time to center around what is truly, deeply, important in our lives. It is a time when we reclaim our sovereignty over our own will and body. It is not the food that drives me, but getting in touch with my spiritual side. The world offers us something completely different. It asks us to indulge to excess and set our selfish desires as the core of our being. Now, for a few weeks at least, we fight the good fight against the deadly seductions of the world. It is easy to be seduced by many things. Sometimes seduction can come from things that are simply neutral or good. When the Jedi became too secure in their power, the process of maintaining that power became the object of their veneration. While Qui-Gon was learning about the Living Force, his selfless life and communion with the mystical was disconcerting to the old guard of the Jedi Order. 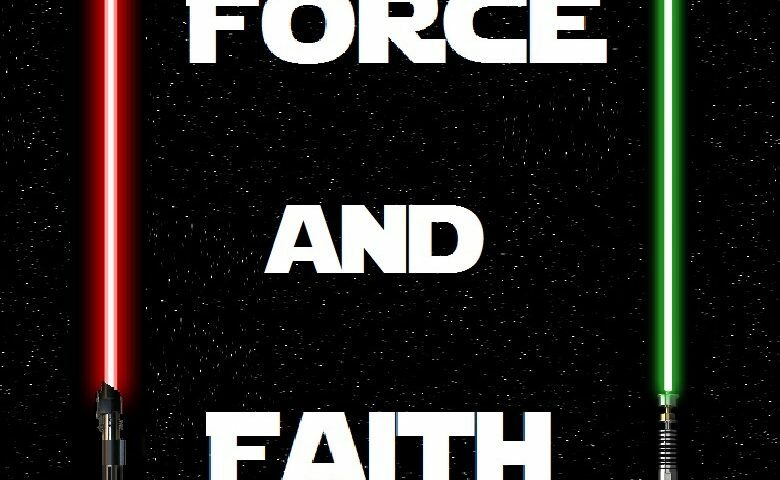 So, the Force is theoretically neutral. Neither good nor bad. And they came to worship the good side, the Light Side – to their own detriment. By the time of Order 66 they were not fully in step with the Force since they had made it over in their own image. When we give a person, object or idea the utmost value and worship it, we give it absolute control over our lives. When we worship ourselves or the next American Idol, they become our gods and drive us to their ultimate inherent end. Cancellation. If I were to worship myself, as my amazing wife says, I would be 400 pounds, covered in Dorito dust, suffering from Nintendo thumb and living in my mother’s basement. Since my mom lives in a second floor condo, I have to reevaluate this option. My god would be quite grotesque. Why has their ability to use the force diminished? It is indeed true that the Sith were working hard to diminish the capacities of the Jedi. Plagueis and Sidious worked to make this so. But the Jedi themselves gave the opening. All of the accusations by Sidious are true – they are arrogant and blind to what does not fit into their own tiny box. In a large galaxy, you can’t afford to stay inside small boxes for very long. The evil ones took advantage of this chink in the armor, the one scale on the underbelly of the dragon, and exploited it. This is where we see the warning to our own spiritual lives. See the Sith as the demonic realm that is cunning and continually on the offensive. When we turn our attention from the good and the beautiful, and instead worship objects of our own understanding and creation, we are making an idol in our own image. To be clear, this is not good. I wanted to make sure you knew where I was going with all of this. If we meditate on and contemplate God in all of His glory, there is an unfathomable depth. But when we place a hedge around Him and make His box smaller, we are only kidding ourselves. It is in that moment that the demonic realm have their opportunity. They exploit our weakness or blindness. If, as the Gospel says, Christ is standing at the door knocking, and waiting to be welcomed into the home of our hearts, the opposite is true of the evil ones. They look for any window with a slight crack, a blemish in the foundation and then stream in to make a formerly good heart their own home. James, do you really think the Jedi made the Force over in their own image? Quite frankly, I always have been of the opinion the Jedi were not completely in step with the Force for one simple reason (yes, sometimes explanations/reasons really are simple) — someone incredible STRONG in his ability to wield the DARK side of the Force was able to cloud everything, making it difficult (not impossible) for the Jedi to see clearly. It should be pointed out, too, that — as strong as he was in (the dark side of) the Force — even Palpatine could not control EVERY outcome. If he could, Luke never would have been able to reach his father, and ultimately do his part to destroy the second Death Star. Me: It would be easy for us to say that the Jedi Order is synonymous with the Light Side of the Force. I think they, themselves, believed this. And yet, once they were embroiled in the Clone Wars, they found that there were many situations which necessitated a less than righteous response. This, coupled with the calcification of the Order around the rules and procedures made it a sterile environment that had lost its knowledge of its responsibility to create, and to be members of the galactic community. Even within Orthodox monasticism, we have a tradition of hermitic monks, though this does not mean that they are divorced from the rest of humanity. They separate for a little while, but so that when they reenter the larger community, they are clear minded and ready to guide it to a deeper state of existence. The Jedi are functionaries trusting in line of multiple generations of bureaucracy and litigious rules. 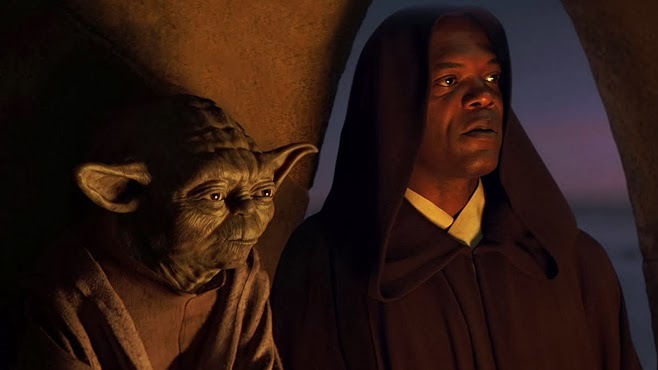 While meditation is part of the Jedi arts, it seems to me that in the available canonical information, they are more concerned with the rules than with the deeper exploration of the mysteries of the Force. Yoda begins to realize this in his confrontation with his evil alter-ego. Me: Yes, I am very funny. And humble. Sometimes I’ll crack a joke during the sermon, and watch the faces of my more serious folks try to make sense of it. But life is about joy! Me: In my writing, I can only speak about my tradition and theological training. I think it would be unfair of me to try to be authentic and completely faithful for what happens in other schools, churches or philosophical systems. I would never be able to give it a fair shake. That is not a judgment on the others. I can say positive things about what I know, meaning, I can affirm what my received belief system is. This is not an indication that something other is less valuable. Me: There was a moment in Plagueis where Luceno talks about the Sith meditating to bend the will of the Force. In that moment, I think that the balance was tipped, if only for a little while. I also think this coincides with the birth of Anakin. I would have to go back to get the reference, but it is in the cobwebs of my memory. They bent it to their will for a little while, but the will of the omniscient and powerful will ultimately right itself, as it did on the Death Star II. Palpatine needed Anakin inasmuch as he was useful to him. We are seeing in the comics that Vader is kept in check through the doubt that Palpatine continually places in him. He knew that Dooku and Maul would never be his ultimate assistant or successor. And thank you, Melinda. This topic and your questions were a lot of fun to work with, though I did essentially dodge the question about other faiths and atheists. I simply am not equipped to be necessarily exhaustive. Ooh, to whom do you refer when you write of Yoda’s “evil alter ego”? Do you mean Palpatine (because both Yoda and Palpatine were the ultimate heads of their respective sides of the Force)? If you mean someone/something else, I can’t place him/it. By the way, that is a very intriguing explanation of the Jedi and their “calcification of the Order”. The Jedi, as Qui-Gon astutely pointed out to Queen Amidala, could act as ambassadors and help, but could “not fight a war” for those they were sent to assist. It all centers around one’s/a group’s/a nation’s directives/missions. I don’t know if I’d necessarily equate it with “a calcification” of who the Jedi once were as a group, but it is an interesting way of looking at what ultimately happened to the Jedi. Were the Jedi fighting from a less than righteous point of view? It wasn’t long before they realized that what they were fighting was the Dark Side. The Jedi knew what it would mean for the galaxy if the Dark Side won. The Jedi stood up to that — on behalf of the galaxy. Is that not righteous?